On July 15, 2010, New York Times reported with fanfare that Paul Allen, co-founder of Microsoft Corporation, plans to give more than half of his estimated $13.5 billion fortune to philanthropy. Warren Buffett, ranked as the world’s richest man, also announced that he will give half his fortune worth $44 billion to the Bill & Melinda Gates Foundation (Washington Post). All of the sudden, giving is in fashion as billionaires make front page headlines giving away their money. Giving is always in fashion. It never really went out of style, according to Thang Pil Mung, Tess Domdom and Rachel Lafontant as they continue their giving and helping others without any fanfare. Thang, Tess and Rachel are not billionaires; I doubt that their personal stories of giving will ever make front page headlines like Bill Gates and Warren Buffet. Nevertheless, these unsung heroes are committed to make a difference in people’s lives and their stories deserve to be heard. Meet Thang Pil Mung, a Burmese refugee who’s finishing his undergraduate degree at North Park University in Chicago. Earlier this week, I had coffee with Thang and he shared with me his wonderful plans to offer English-as-a-Second Language (ESL) classes to his fellow Burmese in Chicago at the same time he wants to fund a missionary to continue their community outreach in Myanmar. He has many exciting plans to help the Burmese community in Chicago and in Myanmar. Thang does not have billions of dollars to give but he plans to give a lot of himself to make his plans come true. Meet Tess Domdom, a Filipina domestic worker based in Hong Kong. Last weekend, I spoke with Tess over the phone and she was excited as we talked about putting together a medical mission for her hometown in Samar island, Philippines. Tess have been planning these for months. In addition, she invited me to conduct workshops in Hong Kong soon to encourage other Filipino community leaders there to also give back. Tess does not have billions of dollars to give but she plans to give a lot of herself to make her plans come true. 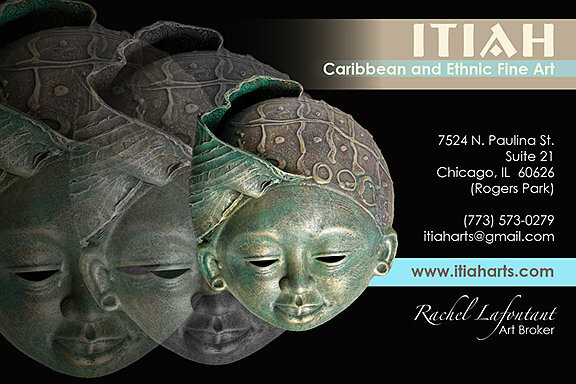 Meet Rachel La Fontant; she owns ITIAH Arts Gallery, a small Haitian arts gallery in Chicago’s Rogers Park neighborhood, located north of the city. She features authentic Haitian crafts that supports local artists in Haiti. I met with Rachel before her trip to Haiti where she plans to rehabilitate a local artisan workshop in Haiti. Rachel also plans to train unemployed Haitian youth the art of creating Haitian crafts that will hopefully give them sustainable employment. In addition she plans to bring Haitian artwork back to Chicago to sell and support her wonderful plans for Haitian local art and long-term sustainability in Haiti. Rachel does not have billions of dollars to give but she plans to give a lot of herself to make her plans come true. We don’t need to accumulate billions of dollars to make a difference. The personal stories of Thang, Tess and Rachel show that they are the true heroes of giving. I know that there are millions of unsung heroes like them around the world who are trying to make a difference in their own way but without any fanfare. Do you know a personal hero who also is giving without fanfare? Share your story here. This entry was posted in Diaspora Donors, Philippines and tagged Burmese giving, giving, Haitian giving, philanthropy, Philippine giving. Bookmark the permalink. Wow! Great stories. I agree–although billionaires can make a splash, it’s really everyone else that makes a difference. Thank you for always reading my blog and for your positive comments!